Georginio Wijnaldum was lost for words to describe how Liverpool put an end to Manchester City's unbeaten record – but he knows that level of performance has to be the standard every week. 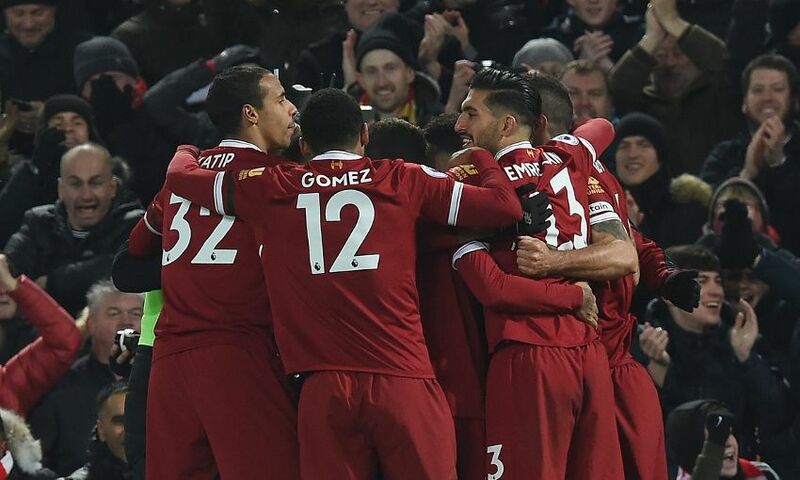 The Reds were outstanding as they claimed a 4-3 win against the Premier League leaders on Sunday, with their pressing, energy and finishing undoing a side that had previously navigated 22 matches without defeat. At the heart of the victory was a nine-minute spell in the second half when goals from Roberto Firmino, Sadio Mane and Mohamed Salah opened up an unassailable lead. “I don’t know where it came from,” Wijnaldum admitted to Liverpoolfc.com. “Even after we scored the fourth we were pressing and trying to regain the ball and create chances. What is crystal clear in the Dutchman’s mind, though, is that the onus is on Jürgen Klopp’s team to repeat the display as frequently as possible in the remainder of the season. “Every game is a new game. We have showed that we can beat Manchester City, a good team – one of the best in the league,” said the No.5, who described his own contribution as ‘definitely one of my best’ for Liverpool. The foundation of the result was undoubtedly in the work-rate of the Reds, and so often it was Wijnaldum – or fellow midfielders Emre Can and Oxlade-Chamberlain – regaining possession and keeping City at bay. “It was just the gameplan. If a player comes in, he has to do the things the manager said about how we want to play. He had a gameplan and that’s what we did,” he added.